Christian Thielemann, one of the best, if not the best, conductors of the works of Wagner alive, once noted that none of the Wagner operas end in minor keys. Indeed, not even the apocalyptic ending of Götterdämmerung, the fourth and the final installment of the epic cycle Der Ring des Nibelungen, where the world ends with Brünnhilde jumping into the fire and the gods dies, ends in a minor key: Der Ring des Nibelungen starts with Das Rheingold in E-flat major and ends with Götterdämmerung in D-flat major. It is also well-known that some of the greatest works by Ludwig van Beethoven follow the narrative structure of a stereotypical drama or film, in which a character is put into a difficult place, then struggles through hardship, and triumphed against all odds in the end: his fifth symphony begins with the fate motif (which, by the way, actually comes from some French Revolutionary tune) and ends in victory; Choral Fantasy, which can be seen as a precursor to the more famous Choral Symphony, begins in C minor and ends in C major; his ninth symphony begins in D minor and ends in D major; the third piano concerto; the incidental music to Goethe’s Egmont begins in F minor and ends in F major. Which brings me to the question: do human beings really prefer stories with happy endings? I suppose we all know how it is like: when we watch a film or read a book, we love to see a character going through some impossible difficulties, because it creates tension to make us interested in what’s going to happen next, and we don’t seem to mind deus ex machina, a device that Friedrich Nietzsche said has killed ancient Greek dramas, so long as the main characters stay alive. It’s also true that many of the highest-grossing films and bestselling books follow the same three-act structure in which the main character is set-up into a challenging quest, during which he/she has to go through some sort of trials of sorts, and then triumphs in the final act. This structure fits quite nicely into the idea of a monomyth put forward by Joseph Campbell; indeed, monomyth, in my opinion, can be thought of as a special case of the three-act structure, a general architecture for stories that must have existed for as long as there are stories. This is, of course, obvious in some ways, because a story must have a beginning, an end, and something in the middle to connect the beginning and the end. This kind of structure and all the cause and effects relationships within stories are what human brains crave for. Even in the realm of non-fictional stories, we regard people with life stories similar to that framework as interesting, while the rest of the population all have boring lives. Of course, there are great many music and stories that don’t conform that general shape. For instance, in Beethoven’s Egmont, the original story by Goethe chronicles Count Egmont’s defiance against invaders, and he actually died in the story, with his death inspiring resistance. And although Beethoven did write some of his most famous music in that general shape of a hero’s journy, the number of Beethoven’s works that conform to that structure are minority: in his most famous of his piano sonatas (Appasionata, Pathetique, Moonlight, Waldstein), none of them look anything like a “hero’s journey;” in fact, none of his 32 piano sonatas follow that structure unambiguously (some of his sonatas that begin in major keys and end in major keys have middle movement(s) in minor keys, can be seen having some elements of a “hero’s journey”); in string quartets, there may be two or three examples out of 16, the most obvious being the Große Fuge. 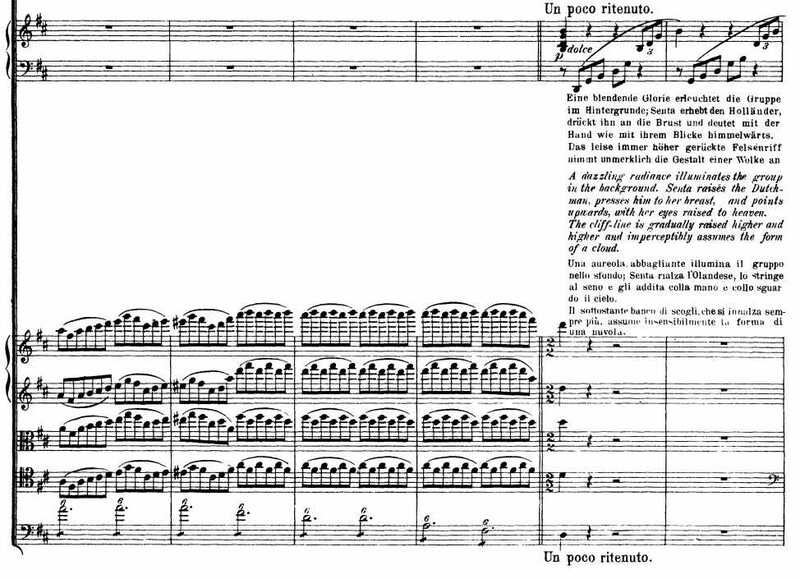 The most famous and obvious examples of that structure are fifth and ninths symphonies, but those were the only two out of 9 symphonies he wrote. In fictions, dramas, and novels, likewise, there are great many works that don’t follow that shape. They may not be the most popular works ever, and if they are made into films, those films will not become massive box office success, but they are there, many of which classics: Antigone ends with everyone except Creon dies; tragedies by Shakespeare have, by definition, not-happy endings; Anna Karenina ends with Anna Karenina killing herself in front of a speeding train; Madame Bovary ends with Emma killing herself, M. Bovary dying, and their daughter becoming an orphan. My inquiry of this matter began as I tried to understand how stories work, how to write better stories, and what people want to get from reading a novel, watching a film, and following a TV show. Many writers of fiction, myself included, believe that we use fiction to say something about the reality; through lies, we tell the truth. There are time in my own writing that, even when I am flat out making up stuff, I try to be as realistic as I could. But judging from what people read or watch, people don’t particularly care about whether a story is realistic, and I confess that there are times when I too want the protagonists triumph against whatever forces trying to put them down, even though I know that’s not real life. Saul Bellow’s Herzog is a novel that was almost autobiographical. It chronicles the aftermath of the narrator’s divorce that mirrored his own. I haven’t been through divorce, but, like everyone else, I’ve been through breakups, rejections, and depression. When I read Herzog, I felt I was reading myself, all those love, hatred, jealousy, philosophising, and everything else. For that, I felt satisfied reading it, yet the story itself isn’t all that exciting. Albert Camus’ The Stranger is another such book that doesn’t seem all that exciting. In fact, it takes half the book to set the main character up to the murder, and just as you begin to root for him, hoping that he will be cleared of all charges, you realise the evidence is stacked against him, and he will be sentenced to death anyway. It is a powerful book with strong message about existentialism, but it doesn’t have a happy ending (the protagonist, however, doesn’t seem to care all that much). In my opinion, these, like Marcel Proust’s In Search of Lost Time, are stories that capture reality with remarkable accuracy, but they are among the less exciting of stories, never mind having happy endings, because real life is not very exciting for most of us, and many things are quite ambiguous. She kills herself, and rescued the Hollander. In the end, has she really died? These Wagner’s operas all supposedly end on a tragic note, but the music suggests the otherwise. Just like real life, they are ambiguous.